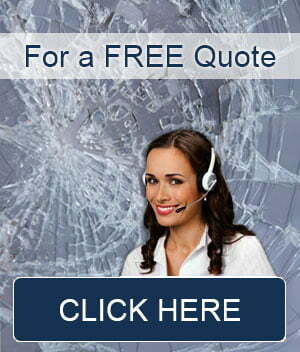 We are Sydney’s car glass repair specialists. Auto glass repair is always quicker and cheaper than replacement so we will attempt to repair first in every occasion. Depending on the exact damage that your car’s glass has encountered, unfortunately repair is not always an option. If you are unsure simply give us a call to discuss your issue and we will be able to provide a quote for both repair and replacement. Once on site our experienced auto glass technicians will be able to asses your car’s glass damage and proceed with a repair whenever possible. Car glass repair is very quick and we should be able to complete it while you wait. Make sure you contact us as soon as you notice any damage on your cars windows or glass. Having a cracked window can often be an invitation to a thief as the window is already half broken. And such damage would require a car window replacement. When we perform a car glass repair the damaged glass will return to its original strength. With our clear resin mixture the damage should be totally hidden. No matter what the make, model and year of manufacture of your vehicle we can repair your automotive glass. In the worst case scenario of damage we may have no other choice but to suggest an auto glass replacement. If this is the case we should have a suitable replacement on hand. But in few cases we may need to order a replacement in. Whenever this happens we will work with you to get your auto glass repaired quickly and safely to get you back on the road again. Above all else, the first step in getting your auto glass repaired is to contact us. Give us a call now on (02) 8488 8049 or use the quote form on this page to request a repair.